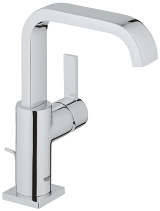 Purists will love the pared-down lines and open rectangular spout of Allure, delivering natural water experience - a pristine sensual experience. 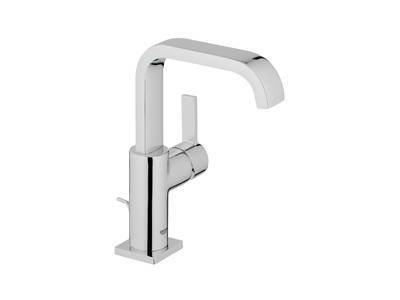 It is original and authentic, offering two different handle styles: a simple lever on the lavatory centerset, vessel trim and 3-hole Roman tub filler, and an elegant three-spoke design on the wideset lavatory and 5-hole Roman Tub Filler. 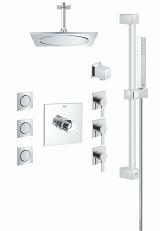 Its unspoiled design is matched by two unique GROHE technologies: GROHE SilkMove®, for unbeatable smooth performance, and GROHE StarLight® for an intense shine. 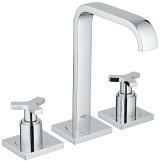 It is a covetable combination of craftsmanship and pristine style - a truly alluring product. 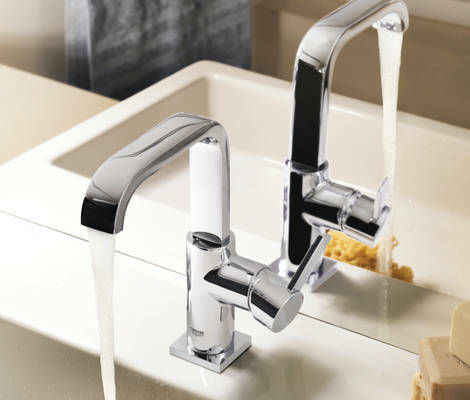 With their confident and precise use of geometric shapes, Allure explore the pure, linear appeal of minimalist architecture to create a striking and alluring portfolio of faucets, showers and fittings. 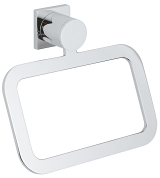 range of accessories for design affinity throughout your bathroom. 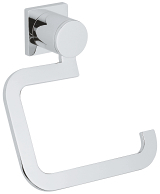 From the basin to the bathtub and beyond, Allure entices with its perfect silhouette. 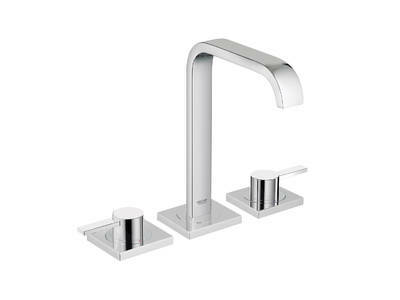 A collection of fittings where geometric shapes are brought to life and every detail has been considered down to the rectangular mousseur, which delivers an enchanting stream of water. 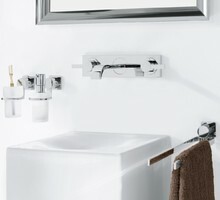 The Allure Collection includes a choice of basin faucets styles to enhance user comfort and ensure design compatibility with all shapes, sizes and styles of bathroom ceramics. 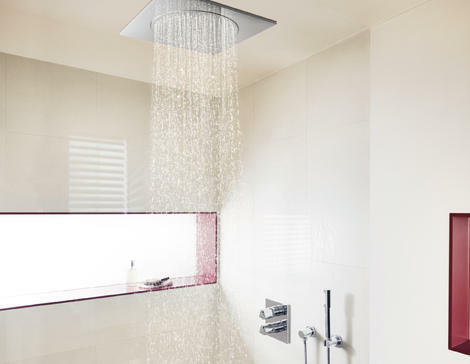 From the ceiling to the floor, from your head to your toes, let the warm water tantalize every inch of your skin. 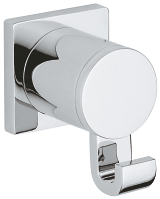 The flush-mounted Rainshower® F-Series head shower recedes into the bathroom architecture when it’s not in use. 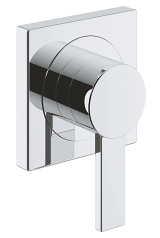 And for the perfect temperature and seamless, clean design? 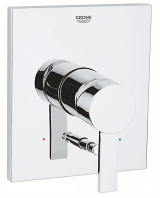 The concealed Allure thermostatic mixer, of course. 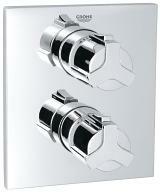 The thermostatic mixer ensure the temperature you select remains constant for the duration of your shower. 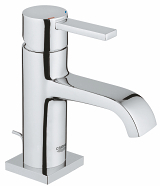 No shocks, no surprises, just a constant stream of perfectly mixed water at the temperature of your choosing. 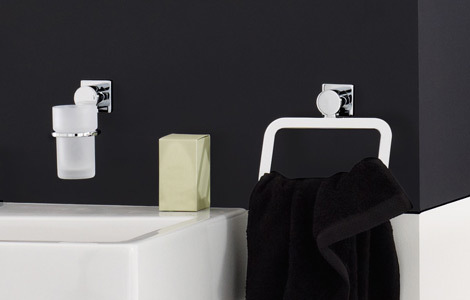 Bold use of geometric shapes and Modernist influences appear across the Allure range of bathroom accessories. 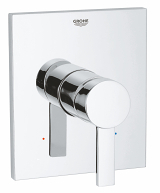 Cylinders emerge from square base plates, their pure forms accentuated by our lustrous chrome finish – GROHE StarLight®. 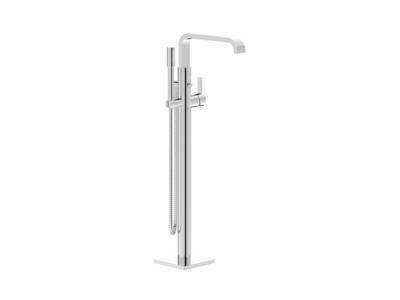 Created to complement the perfectly balanced design of Allure faucets, the range adds the finishing touch to your GROHE SPA® bathroom.